This Valentine’s Day, Emeryld and Sean Kingston brought both nostalgia and contemporary music to Warren Live. 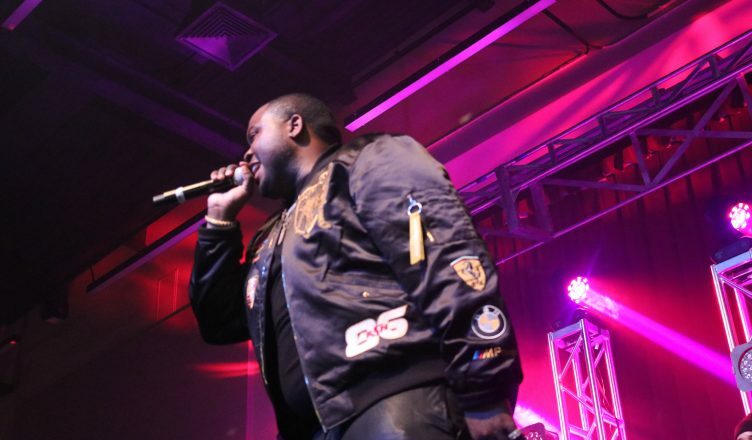 Warren Live, an annual concert sponsored by Earl Warren College’s student council, took place this past Thursday with its biggest headliner yet: Sean Kingston. After last year’s stellar performance from Jesse McCartney, and given that Kingston’s songs formed the basis of some of most college students’ middle school memories, this was a fantastic opportunity to hear him in person. Kingston’s music peaked in chart popularity in the mid-2000’s, with his first single, “Beautiful Girls,” hitting number one on Billboard’s Hot 100 Singles chart. The song is still a staple over a decade later, fitting in at parties, on road trips, and even when just jamming alone. This continued popularity is a testament to Kingston’s longevity. His other two most recognizable singles, “Fire Burning” and “Eenie Meenie” with Justin Bieber, which peaked at 5 and 15 on the charts respectively, were both essential party songs for years on their release, turning Kingston into a beloved generational figure. The question going into the Valentine’s night performance was whether that enjoyment would translate when experiencing the songs live, or if nostalgia was the main factor in Kingston’s continuation. Emeryld, Kingston’s opener, began the night with a spectacular performance. Her crooning yet powerful vocals contrasted perfectly with the haze from the smog machines, and her dark green outfit stood out against the soft pink backlights. Her performance, which included her recent singles “Honey Bee” and “Running,” was perhaps the highlight of the night due to her soaring voice and exceptional dancing. Her interaction with the crowd was impeccable, weaving quick chats with the crowd into breaks between songs. Despite the crowd’s lack of familiarity with her music, her excitement was infectious as she encouraged everyone to sing along with the chorus of “Dinner Party:” “Really know what you’re doin’, know what you’re talkin’ about/ they don’t know what they be talkin’ about.” Receiving a round of applause as she left the stage, she promised to return soon. After a brief break between the artists, Kingston took the stage to a massive roar from the collected students. His energy picked up right where Emeryld left off, running around the stage and shouting into the microphone before jumping into his performance. Full of boyish enthusiasm and hitting the high notes with ease, his vocals were straight out of 2007. After a few songs from his more recent albums, he moved on to the selling point of the show: his earlier hits. As the opening chords of “Beautiful Girls” spilled out of the speakers, the crowd surged forward with even more energy than the earlier songs. With the majority of the audience knowing every word to the song, it sounded like one collective voice was singing its catchy hook. Kingston’s friendliness and rapport with the audience embodied the mood of the night; feeling as if each member of the audience was friends with one another, joined together in mutual appreciation of the music. His other songs were similarly unifying, with “Fire Burning” being another fantastic crowd pleaser. The performance went as smoothly as possible, aside from a few small missteps. Preferably, Kingston would have played more of his own hits, rather than ones that he wrote for other popular artists (e.g. “Whatcha Say” by Jason Derulo). At one point, he brought his friend onstage to perform his own, yet-unreleased music. For an event centered around nostalgia, it was a strange choice. For one stretch of the show, Kingston spent a few songs not singing at all, holding the microphone to the audience instead. Though at first this seemed like an error, the crowd took this opportunity to show their love toward Kingston and demonstrated their appreciation for his artistry. This night was one of the best I’ve had in a while, largely due to how well put together the event was. Dorrin Famininy, the chair of Warren Concerts and Festivals Commission, said that “heading Warren Live for the second time in a row has been one of the most exhilarating experiences of [her] life,” and that she is “so grateful to have played [her] part in making it happen.” After the spectacle of this year’s iteration, I couldn’t be more excited to see how Warren Live continues to improve next year. Image courtesy of Alex Rickard.